Snacks are life. We know this. Kids know this. Number one hack, or rule, is to never leave the house without a snack – even if its a small container of sultanas, or the crowd pleaser banana, when the kids are whining in the post office line you’ll be patting yourself on the back for remembering. Baby carrying has been around for centuries for GOOD reason. It’s easy, it’s natural and it leaves your arms free! The Mothers Choice Cub Baby Carrier not only looks super gorgeous in a deep grey colour, but has 3 carrying positions, its machine washable, has a handy front pocket and includes lumbar support to relieve your shoulder pressure. If you hunt around Facebook, you should be able to find a baby wearing group in your area too, to show you the ropes and teach you how to get yourself all clipped in alone if you’re ever unsure. Here is a super sneaky tip – does your child escape the Onesie yet? We know children can undo zips at some point, and we heard it from someone, who heard it from someone...to put it on backwards! Still warm, comfortable for bed and inescapable. Prams. We devote entire articles to the subject, but one quick tip that we think is all encompassing is, if you need a double pram due to age, then get one that can convert from one seat to two seats instead of being inflexible. This way, when your older child goes through the inevitable pram refusal, or you’re only taking one out with you, you don’t have to walk around with an entire wasted seat and bulky pram for no reason! When you’re ready for one seat pram, Mothers Choice has a great range of affordable, easy to fold prams with all the storage you could need, you can check them out here. Try to dedicate one day a week, or perhaps one time of the day to GTD. Yeah, we abbreviated Getting Things Done because we’re all about making life quick and easy! 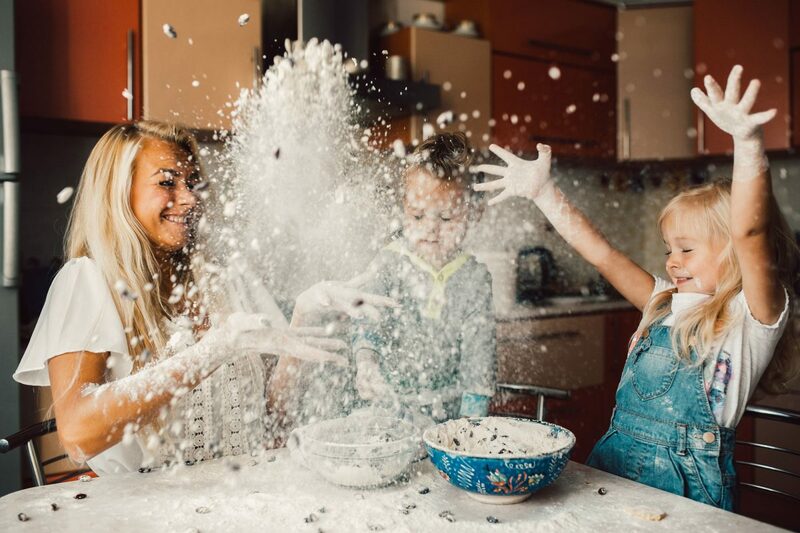 By making Monday your ‘deep clean day ‘or he 11am nap time when you tackle your odd jobs (or perhaps any work from home you do), you free up the rest of the time to really just dedicate to the kids and fun activities you want to be involved in. Having set plans make it easier because you know that the vacuuming will get done in it’s own time, without having to stare at the floor and decide half way through Blocks that it has to happen! Starting the morning with a walk, or some exercise always gets the mind buzzing and a good start to the day. Zip locking your vegetables in the freezer might just be one of the best hacks we ever saw and now use all the time. Big grocery shops means less time having to lug the kids in and out of the car every few days, but it also means your vegetables will go droopy and you’ll lose more fresh produce. By pre cutting (and even pre boiling if you like), you’ll save time and money, and that’s just a winning combination isn’t it? Get yourself an organiser clip for the pram. The name says it all right? We’re sure you’ve seen the mums with a huge spring loaded clip on their pram, and honestly it makes all the difference. Extra bags, drink bottles, or your car keys so you don’t have to rifle in the bottom of your bag every time. Organiser. Clip. Do it! Mothers Choice has an excellent one here. If you’re a mum, chances are you’ve attended and had your own baby showers before. What was your favourite gift? Sure, the luxe cashmere baby jumper you would never have brought yourself was amazing, but did anybody get something just for you? A ‘Mum Hamper’ is such a fabulous gift, for the mum who is swollen, tired, has pigmentation, and is just plain ready to pop. Fill it with beautiful bath treats, some chocolate and a bottle of bubbles for after bubs is born and we guarantee you’ll have a friend for life there! Bath mats are your second best friend (this list is your first, remember). It took us a while to cotton on to these wonderful creations but it was a game changer when baby wants to start sitting up in the bath. Even without bubbles or soap, the bath is a slippery place so the rubber mat at the bottom is a slam dunk in the mum hacks department.